Life is too much fun at the White House. 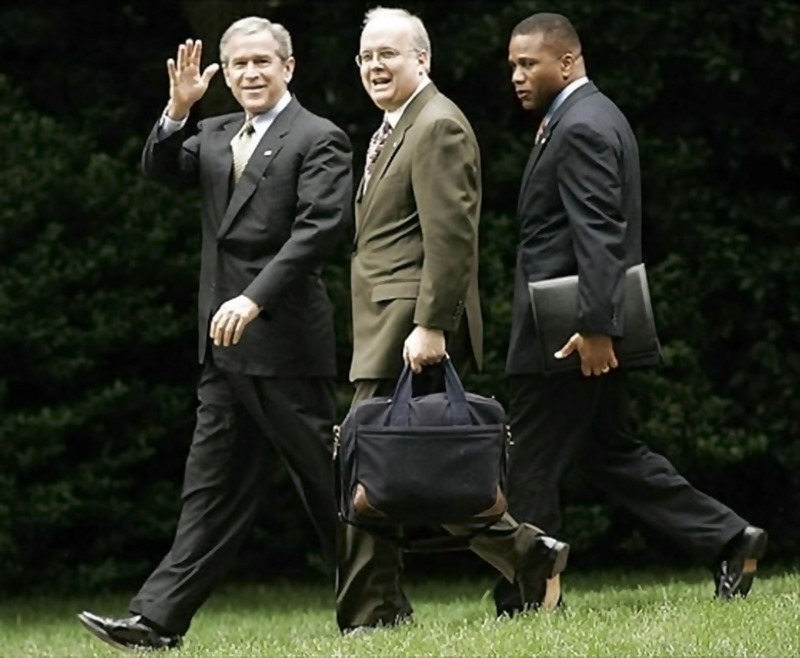 President Bush and former Under Secretary of Disinformation Karl Rove pose for photographers as they board Marine One for an afternoon planning-excursion over Washington, DC. This is when they come up with their most brilliant ideas, such as blaming Democrats for being partisan for denouncing Karl Rove’s whistle blow on Joe Wilson and exposing his wife as a CIA operative. Such is life in America in the Disinformation Age.